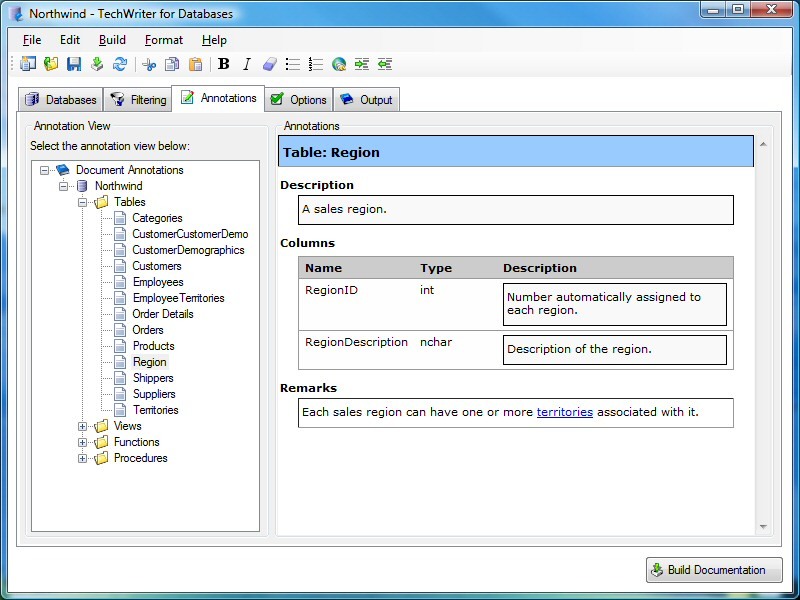 TechWriter for Databases is a documentation generator for databases that leverages the information locked inside your database to automatically produce database reference documentation. ... Save time and money... Instead of spending hours writing and formatting technical documentation from scratch, you can finish the job in seconds with TechWriter. Creating your first reference document is only a few mouse clicks away. ... Keep Synchronized... Nobody likes outdated system documentation.